The structure of primate communities living in a number of undisturbed areas is described and compared. Species richness is highest in tropical rain forests of Africa and South America, where up to 14 different species can share the same habitat. The number of sympatric primates in woodlands and savannas is always much lower. Some striking differences in community structure may be observed between communities living in apparently similar habitats. Three major factors may be held responsible for such discrepancies: history and paleoecology, present spatial heterogeneity of the vegetation, and competition with other taxonomic groups. The role of primates in the functioning of forest ecosystems is discussed. Though their trophic impact may be important, the role they play in seed dispersal appears to be more significant; they contribute greatly to homeostasis, as well as to regeneration, of the rain forests. 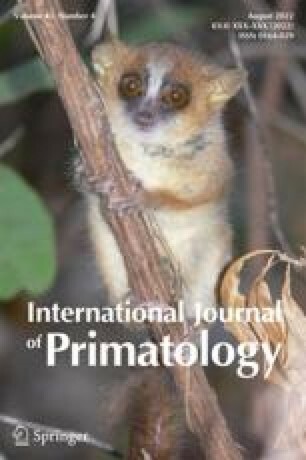 A number of ecological traits are particularly developed among primates and may have contributed to the rapid evolutionary success of the order. Their predominantly vegetarian diet allows them to build up higher population densities than sympatric carnivorous mammals;their arborealism permits them to make use of all edible plant material available in a tridimensional environment; the opportunistic tendencies of some cebids, cercopithecids, and pongids enable them to take advantage of a variety of habitats and situations; and finally, an extended socialization period and a long life-span, allowing them to develop social traditions, give to many of them a further possibility to adapt quickly to novel situations. This paper is a revised version of the third Osman Hill Memorial Lecture delivered at the joint meeting of the Primate Society of Great Britain and the Association for the Study of Animal Behaviour, held in London on 2/3 December 1982.